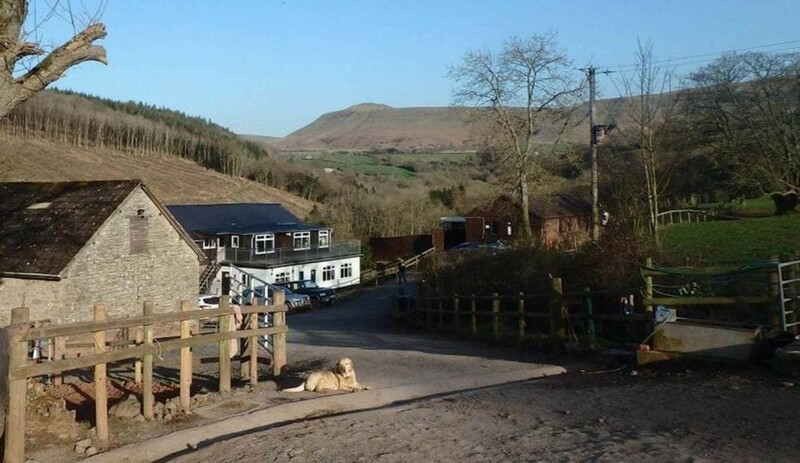 Cadarn Bunkhouse, Felindre, Hay on Wye, Powys, Brecon Beacons, sleeps 9-57 in 10 bedrooms. 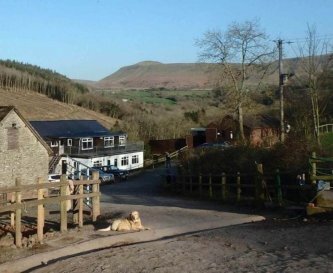 Cadarn Bunkhouse is an ideal venue for youth and school groups wishing to explore the Black Mountains and Brecon Beacons, making the most of the outdoor activities on offer in this region known for adventure. 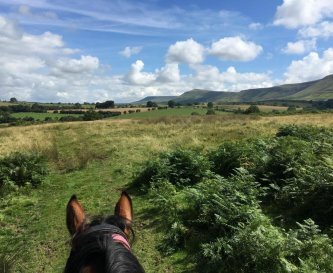 Some of the best horse riding in the UK happens here and with an established riding centre on site, lessons, trail riding and hacking can be offered to all ages and abilities with small groups of no more than 8. 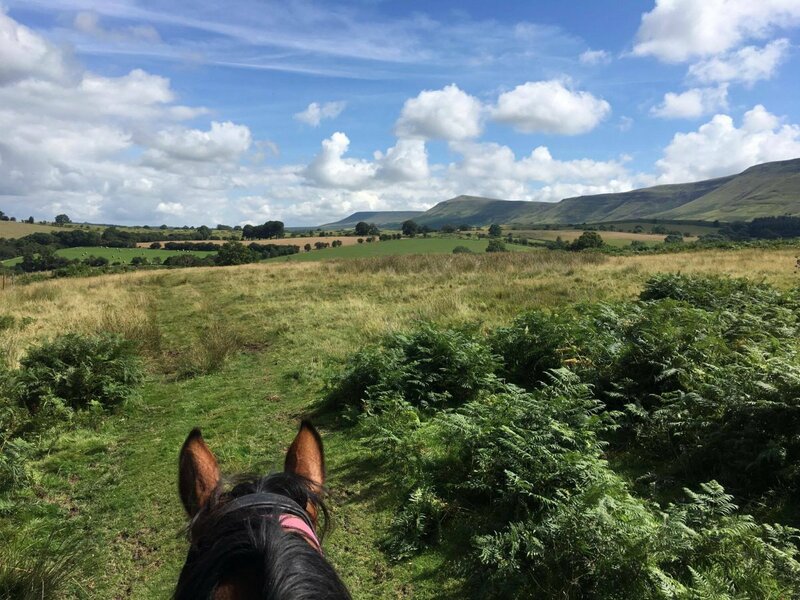 Your pupils will not only have great fun on one of our holidays but they will also gain new skills such as learning to ride, taking responsibility for caring for their pony, becoming self reliant and increasing self confidence. As an alternative activity, the River Wye is easily accessible for canoeing and there are providers and guides based locally who are experienced at working with youngsters. The area is also really popular with mountain bikers and if any members of your group require bike hire, this can be arranged. In terms of accommodation, the centre is divided into 3 blocks. When we have large youth groups staying this is on a sole occupancy basis. 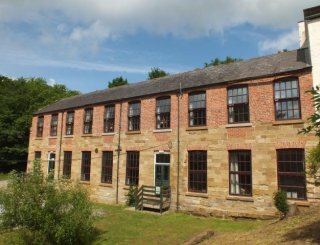 There's flexible bunkhouse accommodation is available for up to 40 pupils and a separate bungalow for staff. There is also one free staff place for every 8 students. Cadarn is fully DBS checked (enhanced) with first aid trained members of staff on site. Catering for your youth group can be arranged in advance of your stay at Cadarn. Dining is sociable in a large space with picnic style tables and bench seating. Food is nutritious and home cooked with plenty of choice for young people. More relaxed accommodation is found in the lounge where there are comfy sofas and a pool table. Evening activities are also offered for youth groups. Well equipped with a 6 burner cooker, grill, microwave, fridge, freezer, double sinks and a commercial dishwasher. Plenty of crockery available. The dining room has picnic style tables with bench seating. With comfortable sofas and chairs and a pool table. There is mobile phone reception although the quality can be variable. Pool table in the lounge room. Bungalow has 3 rooms each sleeping 3 (maximum 9). The Old Stables has 4 rooms sleeping 32 in total. Tack Barn has 3 rooms sleeping 16 in total. Please bring sleeping bags, towels and tea towels. Pillows, pillow cases and bottom sheets are supplied. 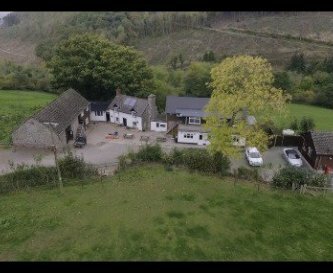 3 shower/toilet rooms on the ground floor of the bunkhouse accommodation and a separate bath/shower room in the Bungalow. All shower/toilet facilities are on the ground floor. Please check with us for any specific requirements. A few picnic benches and tables available outside the property. Smoking is not allowed in any of the buildings on site. Well behaved dogs allowed. 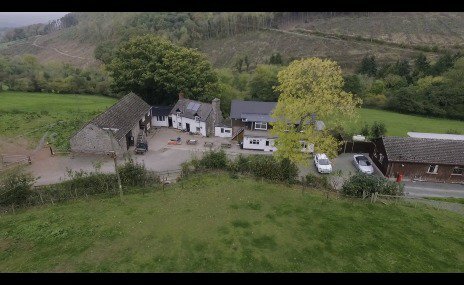 This is a working farm and livery so other dogs are on site as well as horses and sheep. 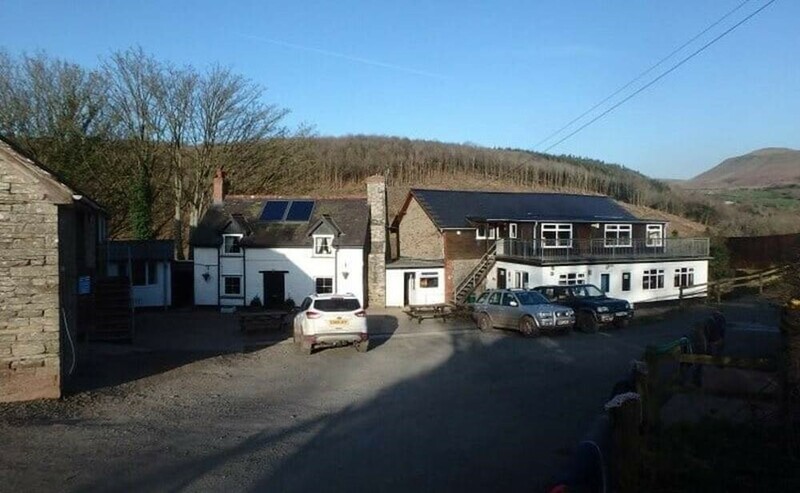 We are just 2 miles from the A438 Brecon to Hereford road, 5 miles from Hay on Wye and 12 from Brecon. On the edge of the Brecon Beacons National Park. The world famous town of Hay on Wye is just 5 miles away and Brecon a larger market town is 12 miles. Garage shop 2.5 miles (Glasbury on Wye) or Co-op (small supermarket) in Talgarth 3 miles away. Larger range of shops in Hay on Wye (5 miles). 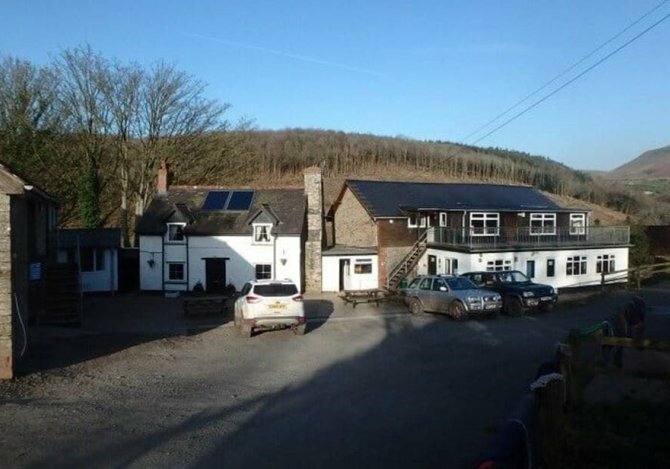 Just half a mile away in the village of Felindre. We can also offer breakfasts and evening meal for bunkhouse occupants but these must be booked in advance. 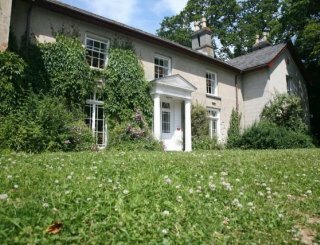 Prices start at just £16 per person per night. An invoice for 20% of the cost is issued at the time of booking with the balance due 4 weeks prior to your stay. Abergavenny and Hereford are both around 25 miles distance. Nearest bus station is Brecon and there is a bus to Hay on Wye. Buses also available from Hereford. Cardiff Airport 64 miles away.